Nutanix's shares dropped by 32 percent after the company's second-quarter earnings announcement included admissions the company's pipeline has problems. Nutanix’s Nasdaq stock fell from $50.09 per share at Thursday’s closing to $34.72 per share as of Friday morning, US time. 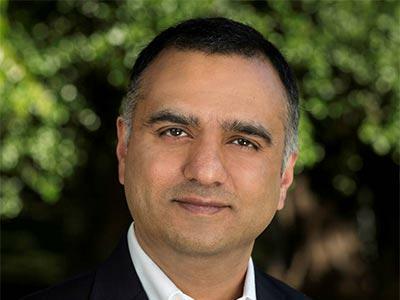 “The last two years, a lot of our go-to-market has been around making our existing customers even more successful and it camouflaged some of the things that we needed to do,” said Nutanix CEO Dheeraj Pandey during an earnings call with analysts and media. Nutanix has been a contender in the hyper-converged infrastructure market and regularly wins plaudits from analysts. So why the lower-than-expected guidance and share price plunge? Nutanix actually reported a solid fiscal second quarter Thursday in terms of sales, with revenue of US$335 million, up from $289 million year over year. The company also added 920 new customers during the quarter and reported a 42 percent increase in software and support sales of nearly $300 million. However, the main reason for the massive stock drop was due to a weak guidance for its current third fiscal quarter. Nutanix provided third-quarter revenue guidance of between $290 million and $300 million, and billings of between $360 million and $370 million. On average, analysts were expecting Nutanix third-quarter revenue to be around $348 million with billings of $430 million. Nutanix cited several reasons for the lower-than-expected guidance. “[It was] beginning to impact our sales pipeline. Lead generation spending is a key component to building pipeline, which ultimately significantly impacts bookings, billings and revenue,” said Williams. Nutanix’s pipeline targets were impacted by the shortage of sales reps in the first half of the fiscal year, “resulting in an under-spend by several million dollars,” said Williams. Nutanix executives during the call were asked repeatedly if the weak guidance has anything to do with strong competition. Pandey said the company vigorously looked into the problem and discovered that it was an internal issue, not an external issue like stronger competitors. He said Nutanix’s win rate and global 2,000 customer base has not been affected while also citing a record second fiscal quarter in terms of the amount of $1 million and $5 million deals. He said Nutanix has gone through a major transformation over the past 18 months including becoming a software-only vendor followed by a subscription sales model, which was a change to Nutanix’s sales force. “Our sales force has gone through a lot in the last two years and there is a little bit of sales prioritization issue, but also to do it in a way that is empathetic to them about subscription, software-only, segmentation—all these things,” said Pandey. Nutanix said it took action in December and January to reallocate dollars toward demand generation, marketing and away from non-sales hiring. “The changes we implemented are already showing early positive signs at the top of the funnel and we expect to see increasing traction in our sales pipeline over the coming quarters,” said Pandey. Nutanix also said that it has promoted Chris Kaddaras, the company’s head of EMEA sales, to lead both Nutanix’s Americas and EMEA sales organizations in a move to drive revenue.